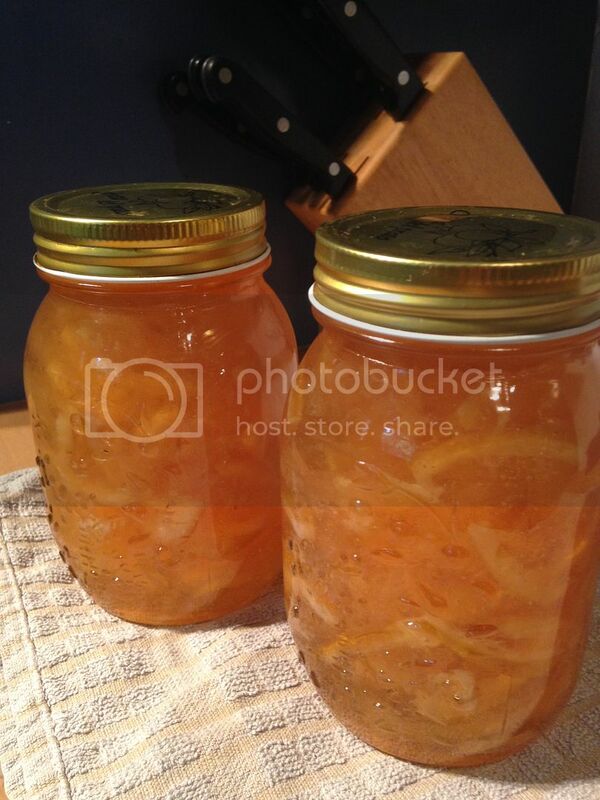 A small batch to start - lemon marmalade I made today. From the spoon licking I did earlier, it is delicious and I can't wait to dig into these jars. I've got cherries waiting in the fridge ready for jamming tomorrow. Marmalade looks lovely,I've never made lemon. I've been busy as well. Is the bean and carrot pickle in the recipe section. 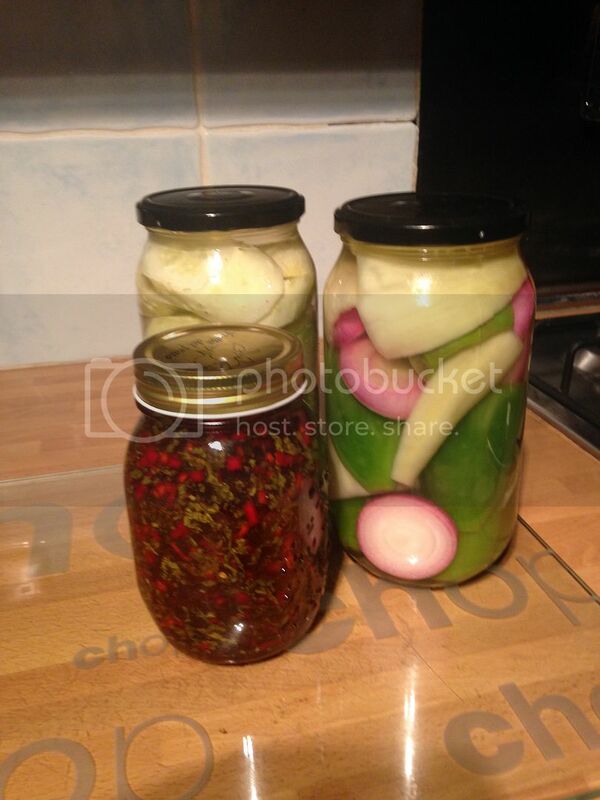 Watched country file and a man up in Scotland had all his produce pickled including carrots to see him through winter. Did not think you could pickle them, shows how much i know. Strawberry jam , fruit from the freezer. Here is my fig jam. Never thought I would have enough figs to make jam but it is a bumper year here! Where did you get a recipe Sunny? We also have a lot of figs here but don't particularly like them fresh. 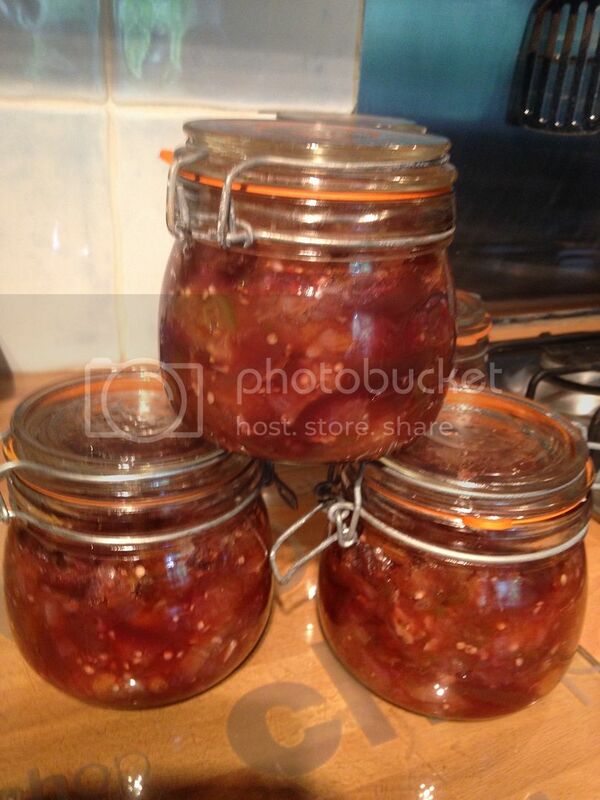 Could try them as jam as we like the ones you get 'at that time of year'. Aaaah ... I have basil. I have tomatoes. I hadn't thought of a tomato jelly. Glad you did! !